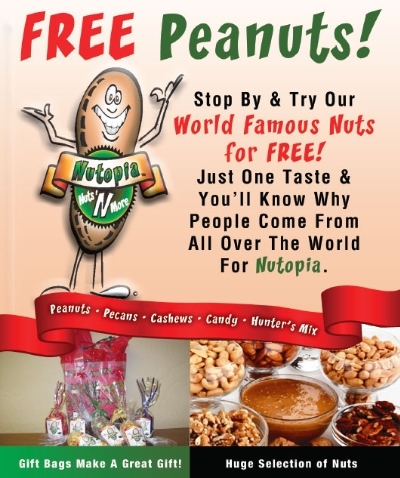 Nutopia Nuts 'N More now offers a Corporate Gift-Giving Program. Thank your customers or win new prospects with these amazing gifts... And the best part? We do all of the work! Click here for more information on Corporate Gifts . Since 1942, Johnson Peanut Company served Oklahomans and travelers on the historic Route 66 some of the best peanuts around. When the legacy began to fade, the twin granddaughters of the original owner stepped in and rescued Johnson Peanut Company from oblivion. 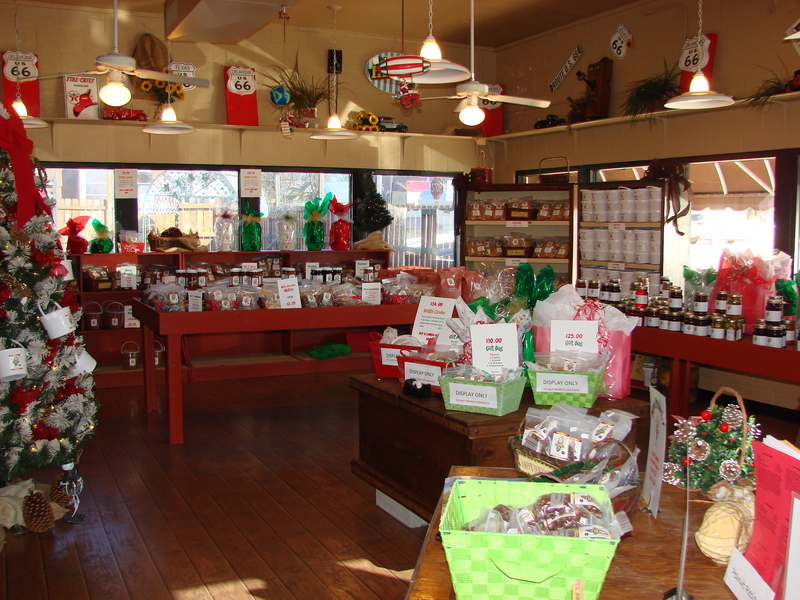 Now redubbed as Nutopia Nuts 'N More, the store continues to draw in an eclectic and hungry crowd of travelers and Oklahomans. To read more about Johnson Peanut Company's history and Nutopia's future, click here.